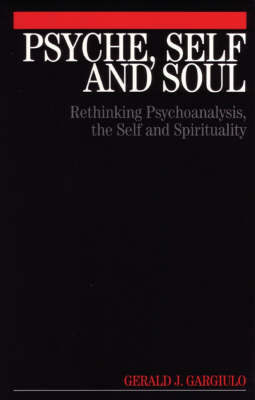 Psyche, Self and Soul is a many faceted exploration of the relationship of psychotherapy and spirituality. Introducing the term a an everyday transcendencea , Gargiulo studies the silent alone space of each individual and relates a psychoanalytic exploration to a spiritual journey. Calling on the thought of philosophers, theologians, scientists and analysts, the text gives a new framework for understanding psychoanalysis and spirituality grounded in the here and now as well as a psychoanalysis that respects mystery, justice and civility. The clinical cases demonstrate how each patienta s task must be understood as individualized, and consequently, how the analyst/therapist must creatively adapt clinical technique. D.W. Winnicotta s thoughts are applied throughout the text and are given a comprehensive summary in the final chapters.